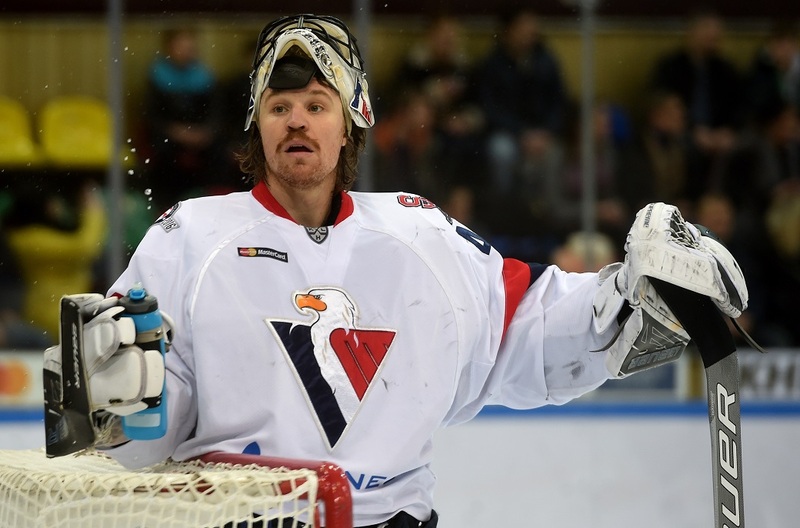 KHL.ru continues its pictorial chronicle of the IX season of the Championship with a look at how the campaign unfolded for the oldest club in the League, Slovan Bratislava (founded: 1921). 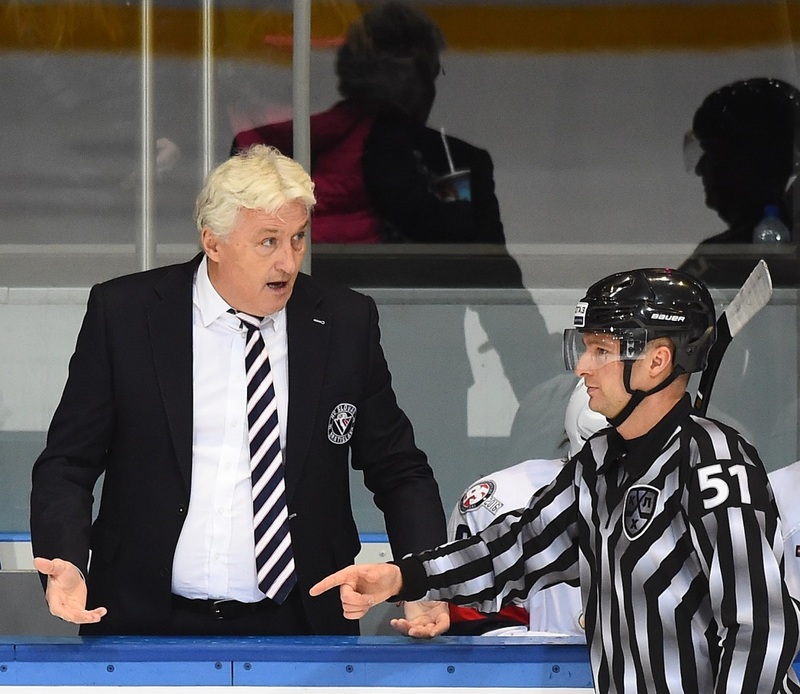 Even though the men from Slovakia failed to make the playoffs, they played their part in an epic season, thanks in no small part to their colorful and charismatic head coach, Milos Riha. If we charted the fortunes of the Bratislava boys as they progressed throughout the 2016-17 campaign, we would see many wild fluctuations in form and the corresponding stark contrasts in results from one game to the next. However, we should note that some of this was due to an unusually busy treatment room. 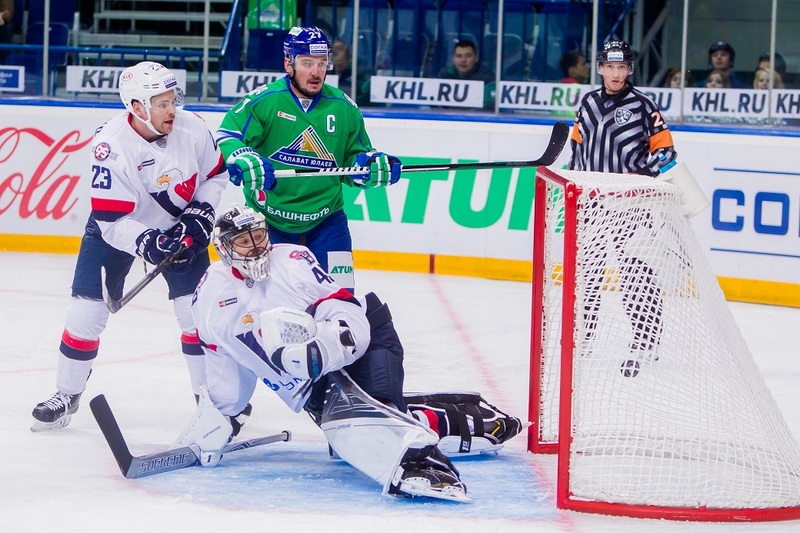 Slovan’s start to the season included impressive and exciting victories over Torpedo at home (7-4) and Avangard in Omsk (4-3), and some of the defeats were just as entertaining, such as the 2-5 at Lada and the 3-6 at Salavat Yulaev. One unexpected problem area for the Bratislava Boys was the last line of defense. The roster boasted two Canadian goalies with NHL experience - Barry Brust, formerly with Los Angeles Kings, and Justin Pogge, ex-Toronto Maple Leafs – but both struggled to find any consistency, and neither made it into the Top 20 listings for Save Percentage or Goals Against Average. Things were much better at the other end, and the finest three forwards were also from the foreign legion: Jeff Taffe of the USA, who was number one in points and goals, and Canadians Jonathan Cheechoo and Kyle Chipchura. The leader among defensemen was another import – Canadian-Italian Nick Plastino. 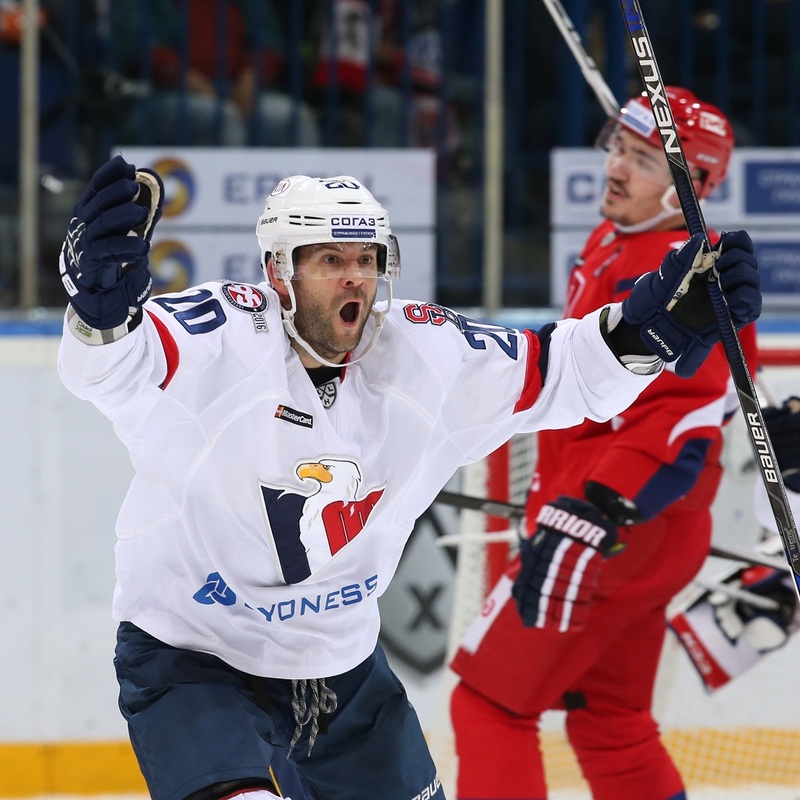 He was the only Slovan D-man who did not miss a single game of the regular season, which is quite an achievement considering the injury crisis that hit the team during the first three months of the campaign. Of course, the main force driving the team was head coach Milos Riha. 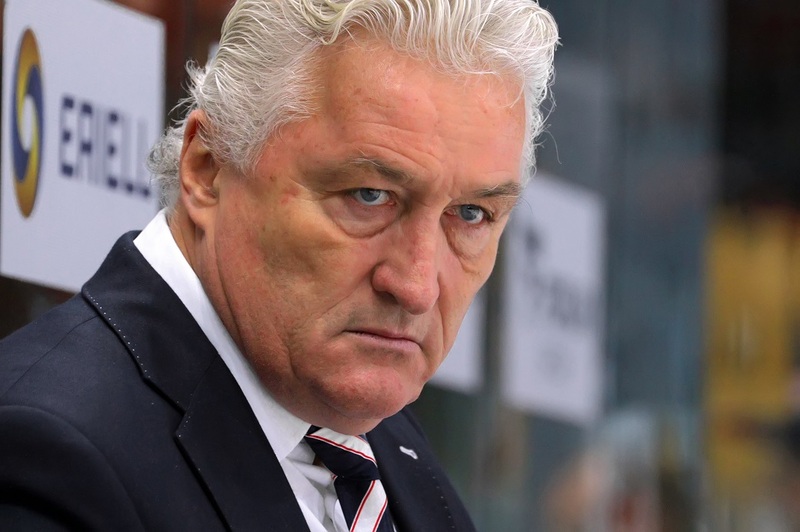 The Czech specialist celebrated his 58th birthday in December of last year, but in reaching such a ripe old age he has lost none of his enthusiasm and passion. Riha on the bench is often the most commanding presence in the stadium, and he has an occasional habit of issuing commands to referees – the men in the middle do not always appreciate it, and he even served a two-match ban as a result. Several years have passed since Milos Riha was the boss at Spartak, but games against the Red-and-Whites are still memorable occasions. 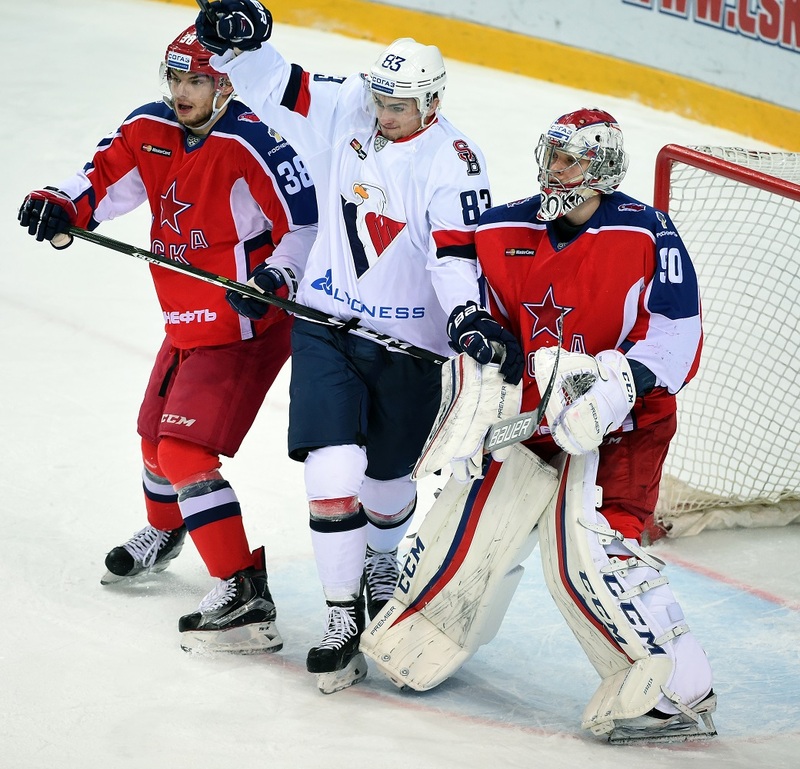 The teams met four times this year, starting with a win for Spartak at Slovan (2-1) and another in Moscow (4-2), then a classic in Bratislava in December, in which Slovan went into the third period coasting at 4-0 but the visitors hit four unanswered goals to take the game to overtime. The Slovaks eventually sealed a thrilling 5-4 triumph in the shootout. The fourth match was a 3-0 victory for the Bratislava Boys in the Russian capital. A little bit of history was made during the season when Igor Musatov became the first Russian to play for the club. 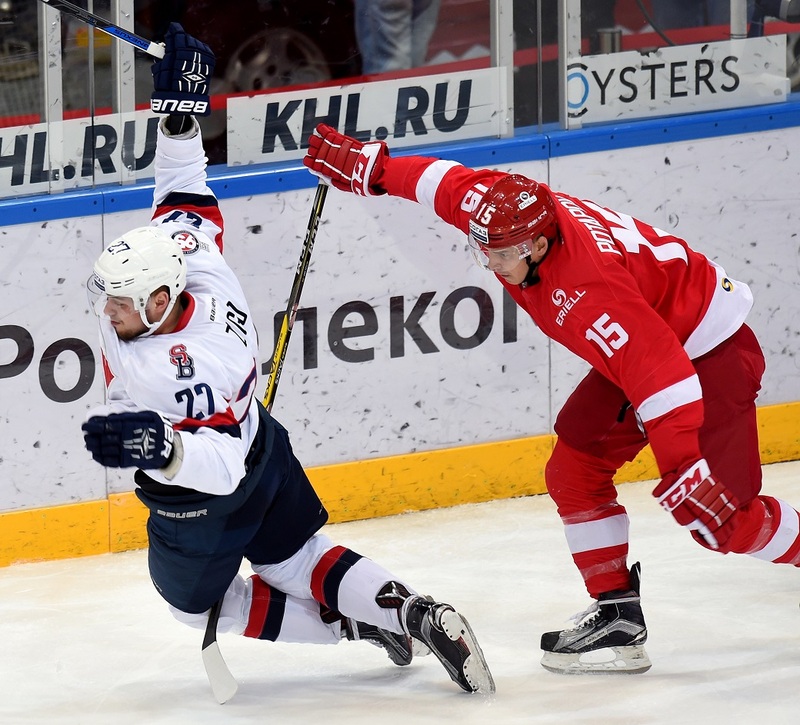 Unable to find a team following a disappointing season with Vityaz, Musatov appealed to Riha, his former boss from his days at Spartak and Atlant, and the coach took him in. Igor repaid the boss’s faith with 6 goals and 2 assists in 29 games. 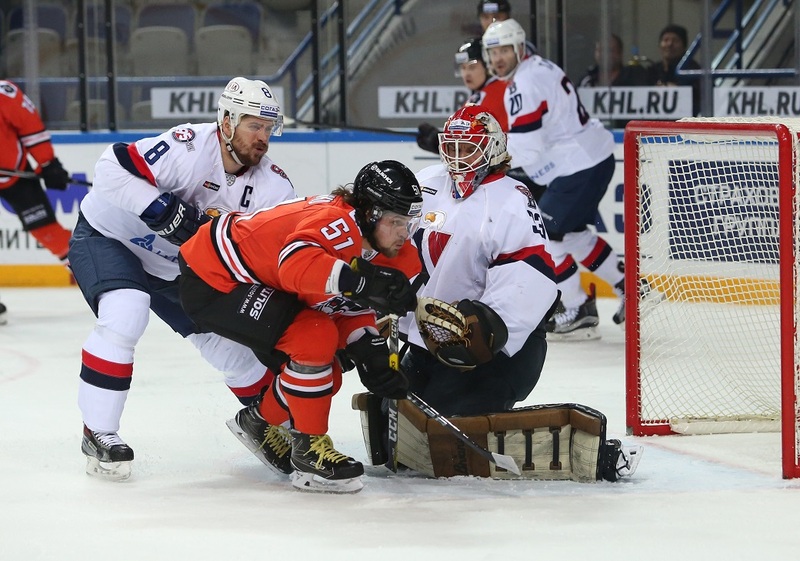 Slovan enjoyed a purple patch in December and January, and when the Slovaks clinched a road win over Amur in faraway Khabarovsk, it was their seventh straight victory and their ninth in eleven games. 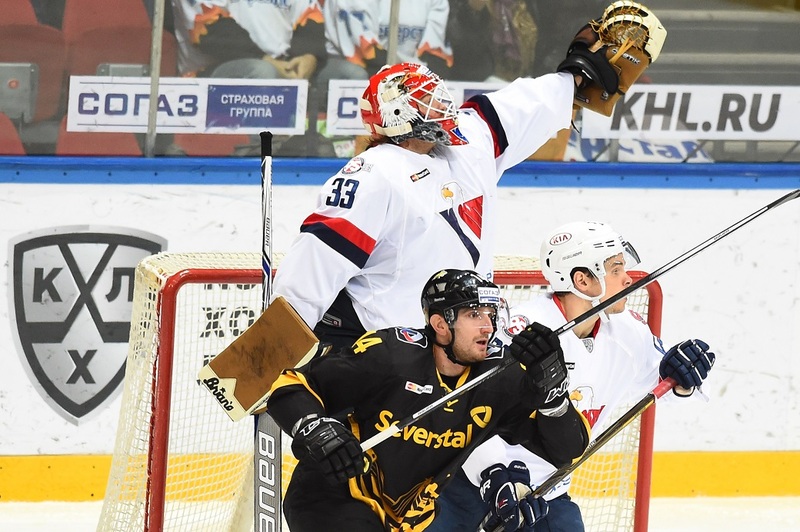 Sadly, there followed a dismal run of four defeats in five matches, and even though they ended the season with two typically thrilling victories (5-4 in overtime and 7-5, both versus Medvescak), it was not enough to secure a place in the knockout stage. 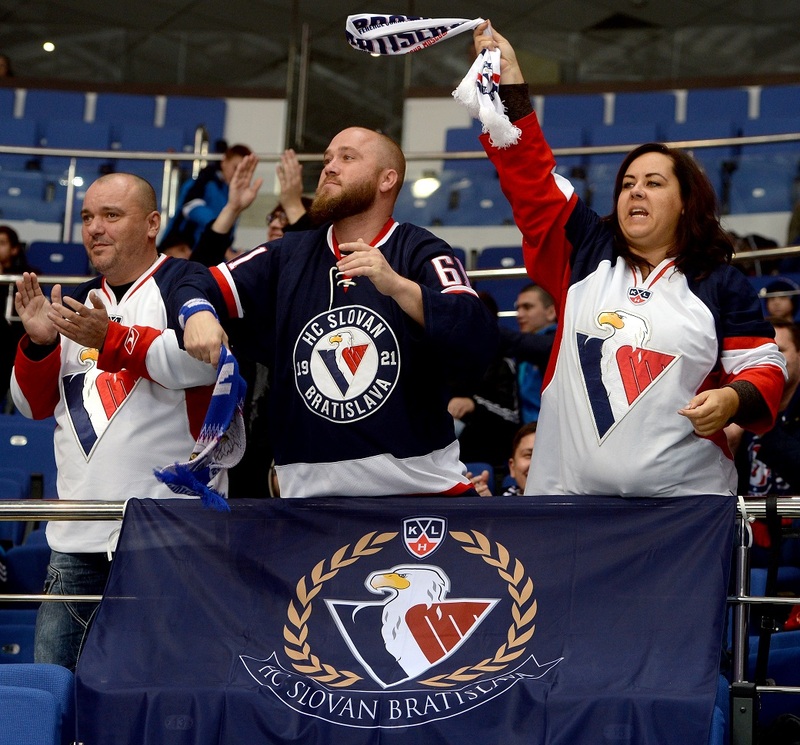 Despite Slovan’s failure to reach the playoffs, not to mention all the other problems and misfortune that beset the team throughout the championship, one constant bright note was the loyalty and stoicism of the Bratislava fans. The Slovnaft Arena was packed to near-capacity for every home match, and many sports teams around the world would wish they had such support.